Blender Lane is dominated by stencils, paste-ups and 3D creations by the likes of Junky and Will Coles. The length of the laneway is a colourful display but it’s not until you get closer that you start to notice the small artefacts tactfully stuck to the walls and windowsills that make this location different from the others. The laneway not only provokes reactions to political messages, it also provokes interaction between the visitor and the artworks themselves with the texture of the bricks, the corrugated iron doors and indented windowsills. 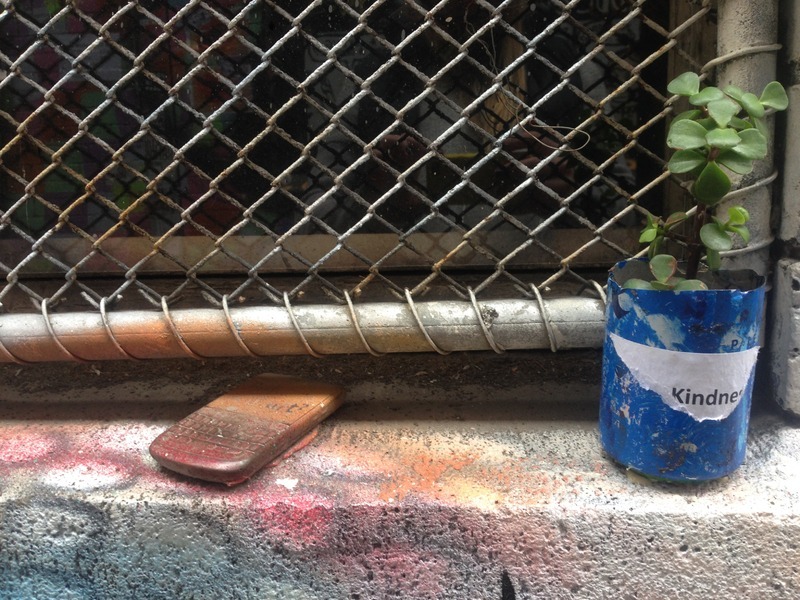 It is also littered with The Art of Guerrilla Kindness, which merges the concept of guerrilla art and random acts of kindness in the form of small, handcrafted artworks that are left around the streets of cities for people to find and take. It aims to provide moments of joy, lift people’s moods. Not only does this form of street art create a flow of loveliness between strangers, it also allows them to become totally engaged with it, in the form of touch. 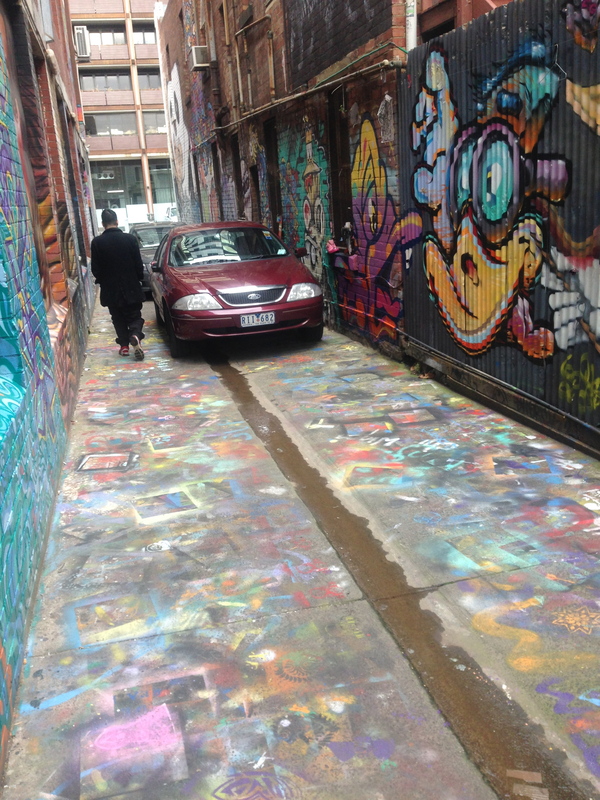 “Touch, Blender Lane,” Street Art deTours, accessed April 20, 2019, http://streetartdetours.com/document/1144.